Build Your Own Custom Signs Online! 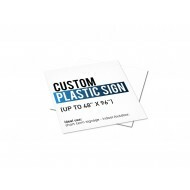 Easily choose a category of sign you are looking to make! Select from a Custom Traffic Signs, Custom Basic Sign, Custom Vinyl Decals, Custom Safety Signs, Custom Oilfield Signs & More! 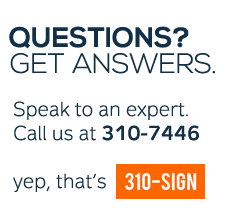 Take advantage of our quick & easy online checkout process usingExpress PO Checkout! These rigid 24" aluminum safety signs are designed to withstand Canada's harsh weather environmen..
Customize your own Caution Sign and enter your own message. "CAUTION" indicates a hazardous s..
Customize your own Caution Sign/Label by selecting an appropriate safety symbol, primary messages..
Customize your own Danger Sign and enter your own message. 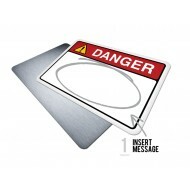 "DANGER" indicates a hazardous sit..
Customize your own Danger Sign/Label by selecting an appropriate safety symbol, primary messages ..
Customize your own Emergency Sign/Label by selecting an appropriate safety symbol, primary messag.. Magnetic decals are made to order. 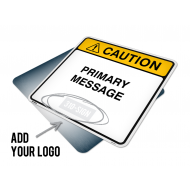 You have the option of uploading pre-made sample artwork, or y..
Customize your own Notice Sign and enter your own message. "NOTICE" is used to address practi..
Customize your own Notice Sign/Label by selecting an appropriate graphical symbol, primary messag.. 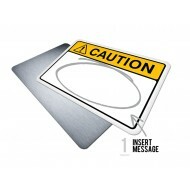 Plastic signs are made to order. 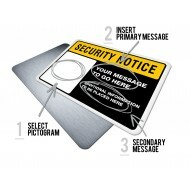 You have the option of uploading pre-made artwork/attachments, o..
Customize your own Safety First Sign/Label by selecting an appropriate safety symbol, primary mes..
Customize your own Security Notice Sign/Label by selecting an appropriate safety symbol, primary ..